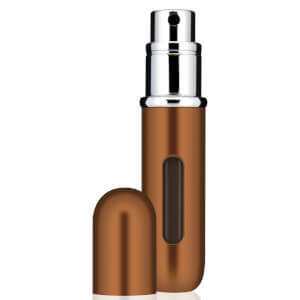 Explore the range of travel bottles for transporting your favourite fragrances safely with Travalo here at Mankind. 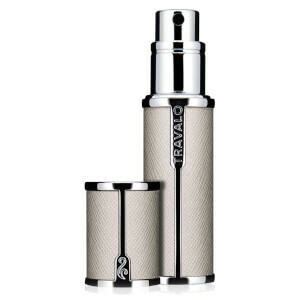 Stylish, premium and reliable, Travalo offer a range of safe, refillable bottles made for transporting your favourite fragrances. Carrying around fragile, glass fragrance bottles is incredibly risky, but Travalo removes that risk. 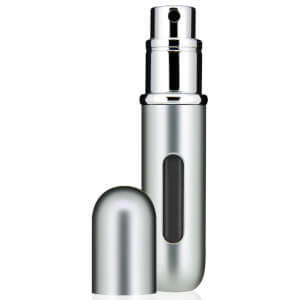 It refills in seconds from any standard fragrance bottle. Using patented Genie-S refill technology, fragrances are protected from degradation, exposure to air or leakage. Featuring a supreme HD spray head, it covers a wide, even area. This convenient bottle is glass free and aircraft approved for hand baggage, great for those travelling frequently. To clean Travalo, start by emptying out all of the contents. Next, take a small plastic spray bottle and fill it with clean water. Remove the spray head from the plastic bottle and fill up the Travalo with the water, the same as how you would fill it up. Do this by placing the nozzle into the section at the bottom of the atomizer and pump it until full. Spray all of the water back out of the Travalo and repeat if necessary.